I’m Ed Smith, a Sacramento car accident lawyer. 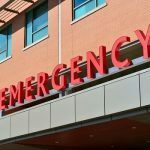 Two separate collisions involving multiple vehicles occurred March 15 along the northbound side of Interstate Business 80 that resulted in injuries. I would like to extend my sympathy to those involved in the accidents and to their family and friends with the hope that no one was seriously injured. The car accidents, one involving two vehicles and the other involving six, occurred around the same area of Business 80 at P Street as reported by Caltrans. The crashes necessitated the closing of all the northbound lanes while tow trucks were brought in to clear the wreckage. This included traffic waiting to merge from Highway 50, according to a representative of the California Highway Patrol (CHP). Caltrans stated that the freeway was shut down up to Auburn Boulevard. The northbound lanes were reopened at around 2:00 p.m. Injuries were reported in the accident involving multiple vehicles, although no specific details have been released as yet. In the two-vehicle collision, there were no injuries reported as a result of the crash. Collisions involving multiple vehicles may have a number of different causes, from driver error to road conditions or vehicle malfunction. 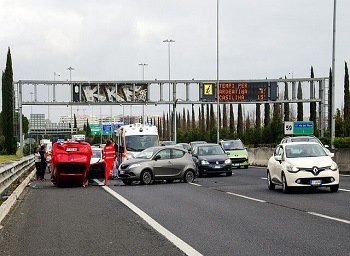 These chain-reaction accidents are normally caused when one vehicle strikes the vehicle in front, which either causes the vehicles behind to crash or forces the struck vehicles into other lanes to collide with others. Accidents of this type commonly cause serious injuries because multiple vehicles may strike another vehicle from multiple directions. 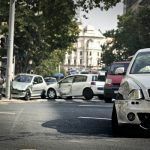 When involved in a multiple-vehicle collision, consulting with an injury lawyer experienced in these types of accidents can make a difference in the amount of compensation you recover. 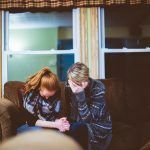 Because of the complexity of a multiple-vehicle accident, there may also be multiple claims filed by those in the vehicles to pay for their personal injuries such as medical expenses, lost work hours and other costs. 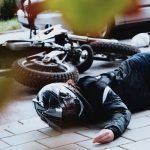 California is a comparative liability state, which means that those involved in an accident that results in injuries can be assigned a percentage of fault, which would reduce the amount of their compensation. For example, one driver is found to be 80 percent at fault for an accident, while the other driver is assigned 20 percent. In the event the driver who is 20 percent at fault places a claim for financial compensation, he or she would still be able to collect 80 percent of the damages awarded. Speeding: If the driver who caused an accident was speeding, this may be construed as negligent behavior. In California, if the driver is going over 15 miles above the speed limit, it constitutes reckless driving. Not yielding the right of way: Whenever a yield sign is posted or when merging onto a highway or turning, the driver is expected to yield. Failure to do so can constitute negligence. Distracted driving: Talking on a cell phone or texting as well as other distracting behaviors can cause accidents. California is a hands-free state, so handling a cell phone while driving would constitute negligent behavior. Aggressive driving or road rage: Tailgating, cutting in and out of lanes and other actions endanger others on the road. I’m Ed Smith, a Sacramento car accident lawyer. Motor vehicle crashes that involve multiple vehicles can result in serious injuries. For free, friendly advice about your situation, please phone (916) 921-6400 or on our toll-free line (800) 404-5400. I belong to a forum for the top trial attorneys around the country called Million Dollar Advocates. To become a member, the lawyer must demonstrate that he or she has won verdicts or settlements for clients in excess of $1 million.